Grey Rock Mansion is a historic wedding and special event venue near Baltimore. We created an elegant, contemporary design with well-organized content, including pricing tables, a blog, events page, and gallery. The home page showcases a beautiful full-screen slider with more content below. 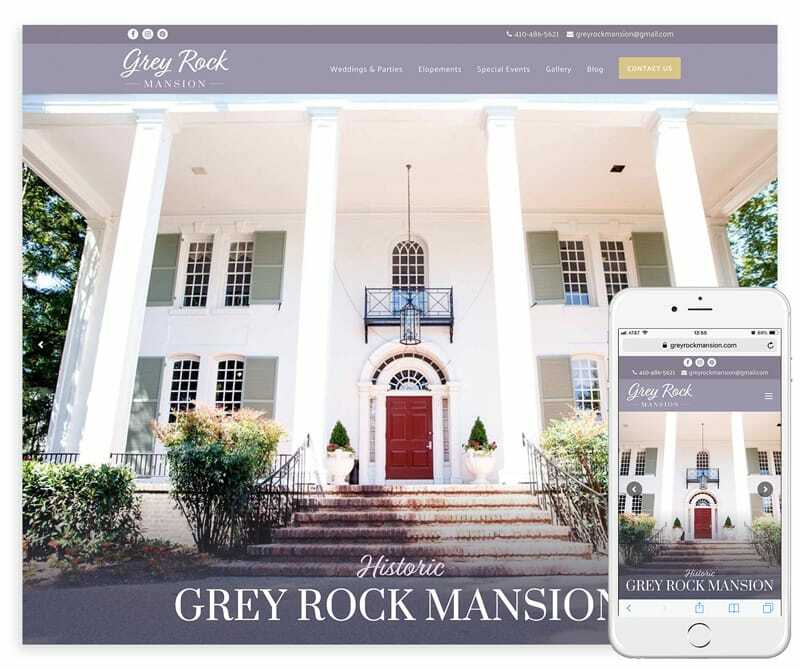 We also designed the new Grey Rock Mansion logo and provide ongoing WordPress maintenance. 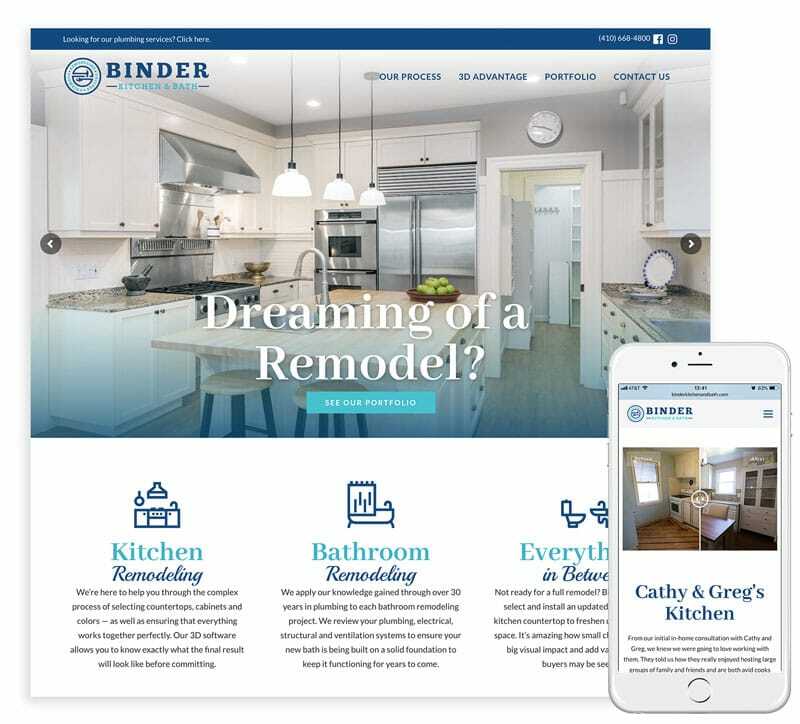 Binder Kitchen & Bath provides professional design and remodeling services as well as plumbing expertise. We included many unique features on their new website, such as before & after comparison sliders and image hotspots to highlight the types of materials used in each remodel. 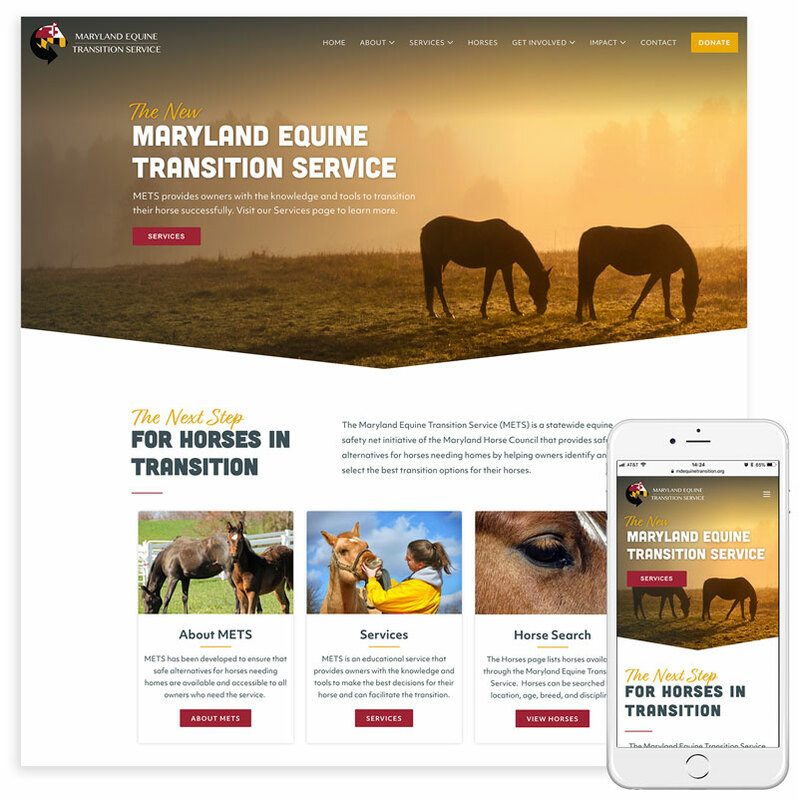 The Maryland Equine Transition Service (METS) is a statewide equine safety net initiative of the Maryland Horse Council that provides safe alternatives for horses needing homes. We developed a custom WordPress website for METS with a fresh, contemporary feel using the Maryland flag colors. We also provide METS with ongoing WordPress maintenance. Electronic Billing & Customer Support (EBCS) offers a variety of payment solutions for several industries, including payment plans and prepayment plans. We created a highly professional, contemporary website redesign in WordPress with Zoho CRM integration and lightweight, lightning-fast performance. It has a Google PageSpeed performance grade of 98 on Pingdom, as well as a PageSpeed score of 99% and YSlow score of 98% on GTmetrix. We also provide EBCS with web hosting and ongoing WordPress maintenance. 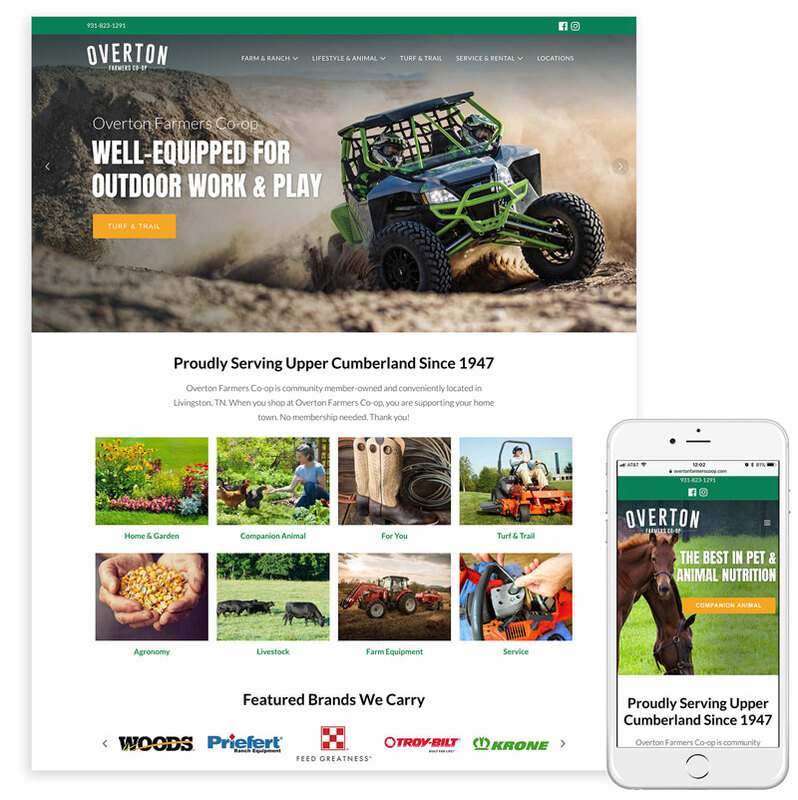 Overton Farmers Co-op is a Purina® Certified Expert Dealer that offers farm, pet, outdoor, and garden supplies with multiple locations in Tennessee and Kentucky. We created a new WordPress website with a fresh design featuring a beautiful homeage slider and custom Facebook Feed integration. We also provide Overton with web hosting and ongoing WordPress maintenance. Lodowski Law Firm provides legal counsel and services for a wide range of claims with offices in Towson and Baltimore, MD as well as Washington, DC. 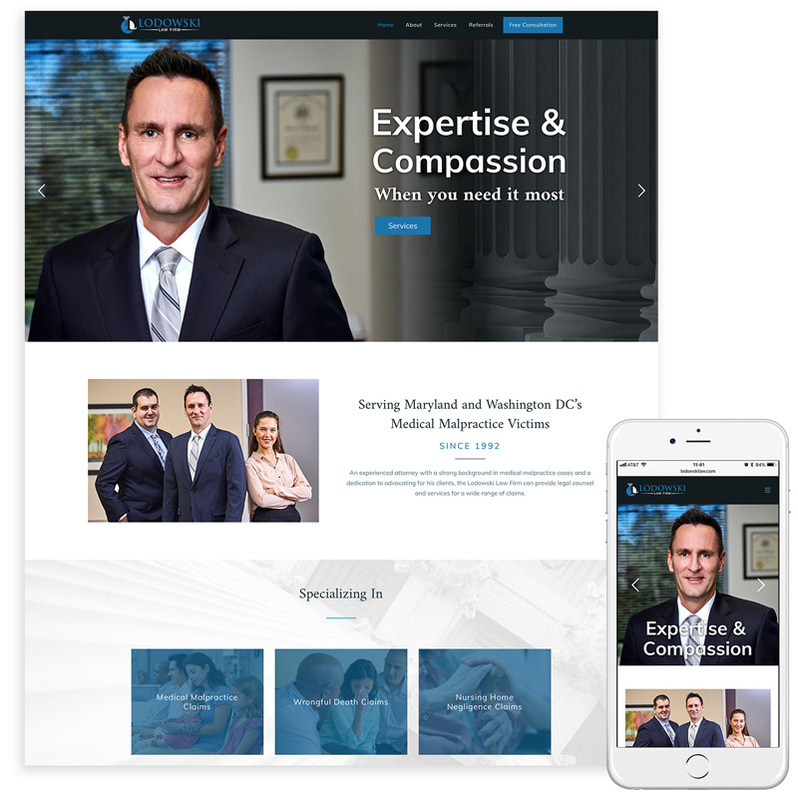 We created a modern, professional WordPress website that highlights the law firm's areas of expertise, testimonials, and included a strong call to action for a free consultation. We also provide Lodowski Law Firm with ongoing WordPress maintenance. 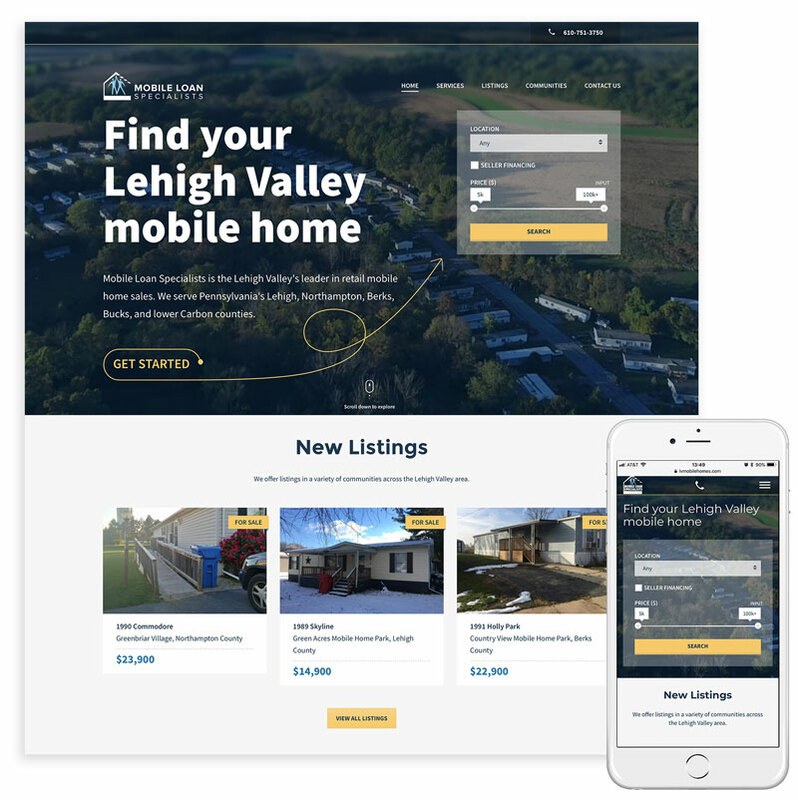 Mobile Loan Specialists is The Lehigh Valley's leader in retail mobile home sales. We created a customized real estate WordPress website featuring detailed property listings as well as community profiles using custom post types. We also provide Mobile Loan Specialists with web hosting and ongoing WordPress maintenance. 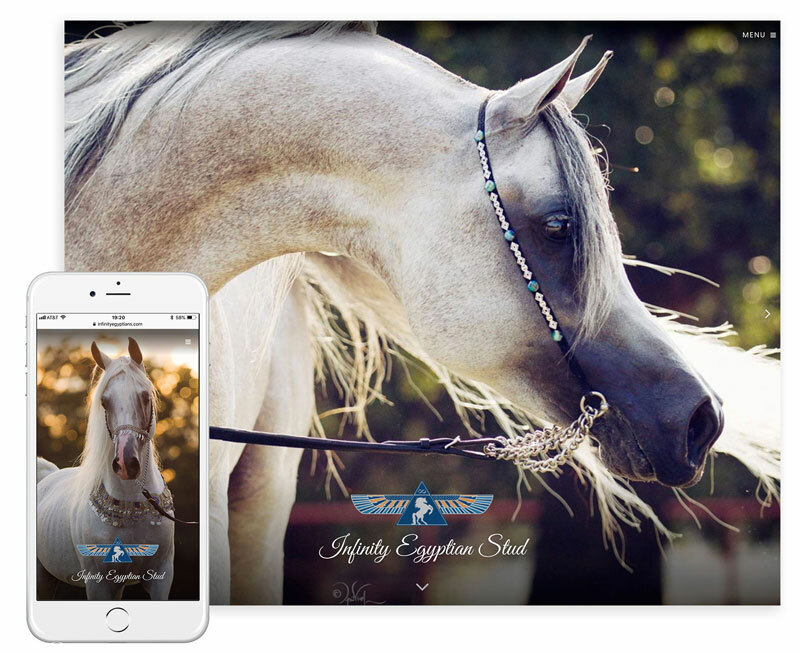 A fully customized redesign in WordPress, the new Infinity Egyptian Stud website features a stunning design that also fits within the aesthetics of the Arabian horse industry. 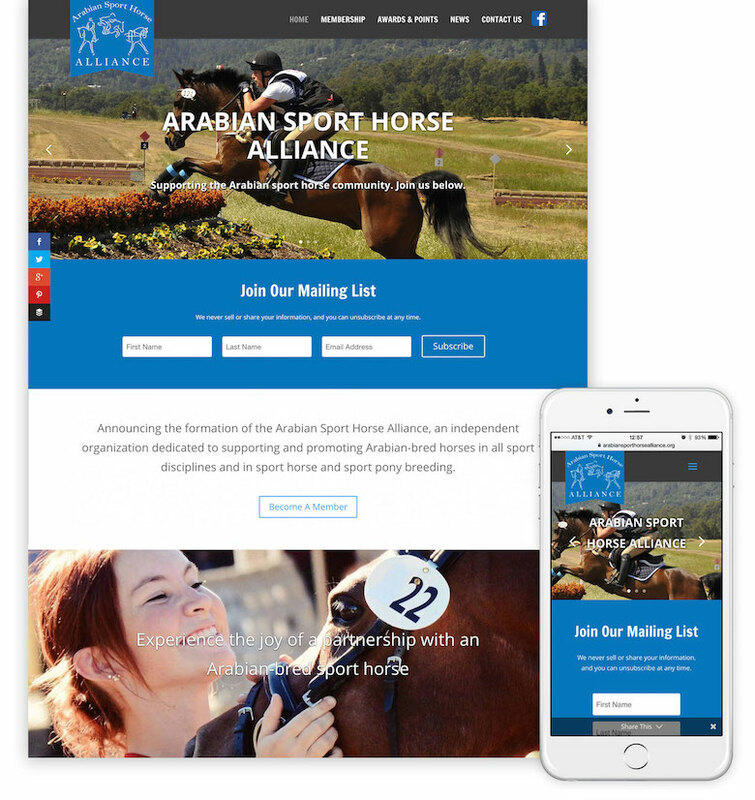 We created custom post types for the horses on the site, categorizing them appropriately and giving the stallions specially designed profile pages. We also setup custom Facebook feeds for recent news. We also provide Infinity with web hosting and ongoing WordPress maintenance. 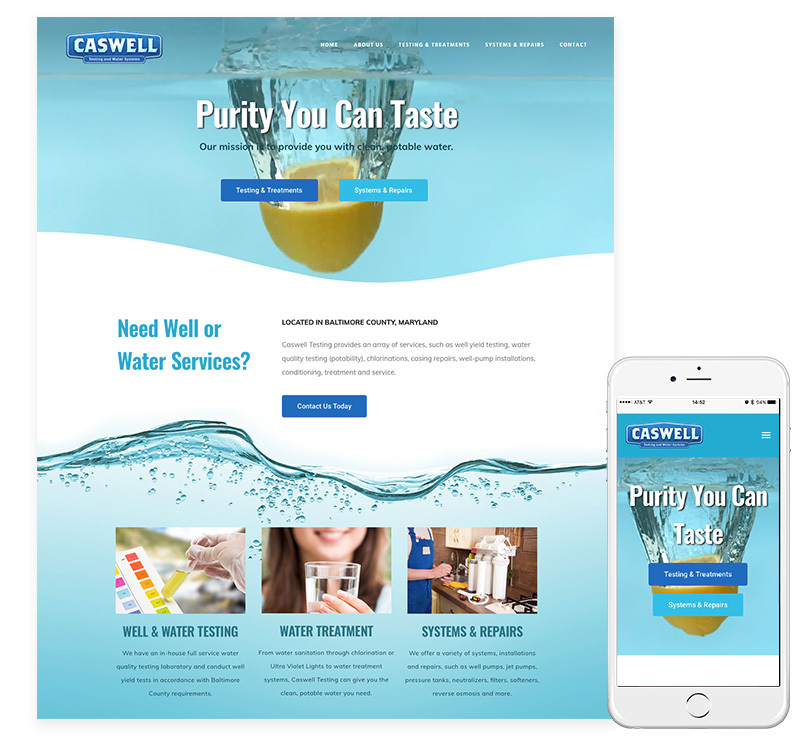 This website features an eye-catching video background on the homepage and creatively markets Caswell Testing's various water and well services. We also provide Caswell with web hosting and ongoing WordPress maintenance. 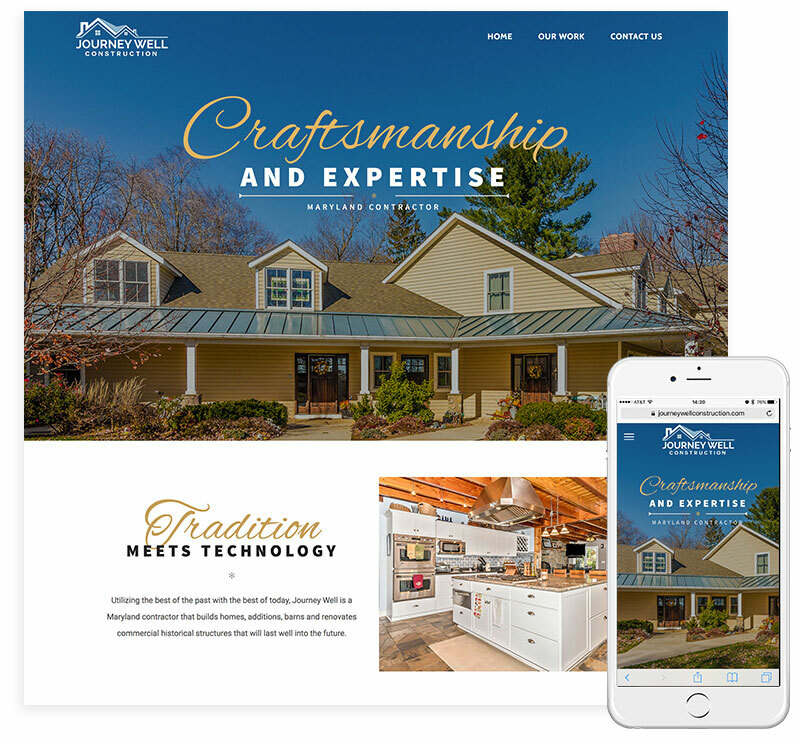 An innovative website redesign that needed to concisely convey the exceptional quality of services offered. We used a media-rich, low-text design that feels like it tells a story, elegantly flipping from one slide to the next. We also developed a lightweight, high-performance custom WordPress theme for the News and Sales sections of the website. 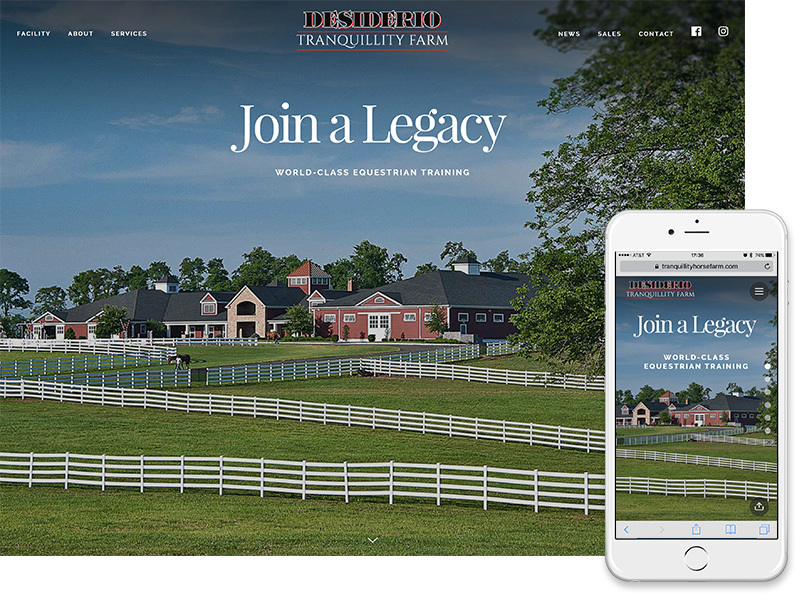 We also provide Desiderio Tranquillity Farm with web hosting and ongoing WordPress maintenance. We designed this website with a video background header on the homepage featuring clips of animals representing variety in equine, pet and cattle products. This gives a higher-quality feel to the brand. The website also features custom WordPress post types and advanced custom fields for posting events, custom-designed printable coupons, newsletter signup, photo galleries, and a custom Facebook feed. We additionally provide Bowman's with web hosting and ongoing WordPress maintenance. This is a one-page style website that also features a filterable portfolio. Each project may be clicked on to view a slideshow of photos and a project description. We also provide Journey Well with web hosting and ongoing WordPress maintenance. 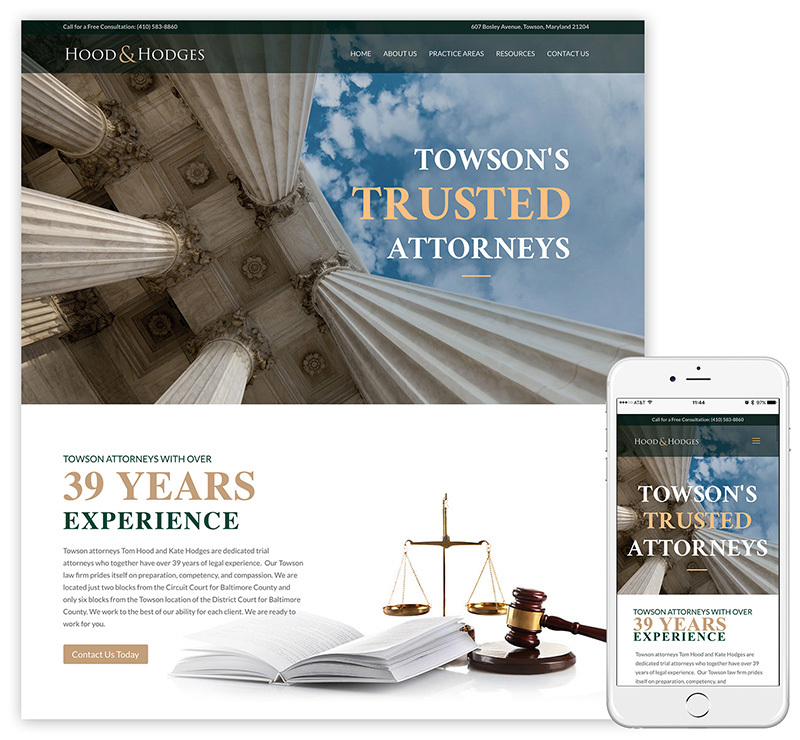 We designed and coded a new WordPress website with a sophisticated slider and professional look to meet the needs of this Towson attorney. We also provide Thomas Hood Law with web hosting and ongoing WordPress maintenance. 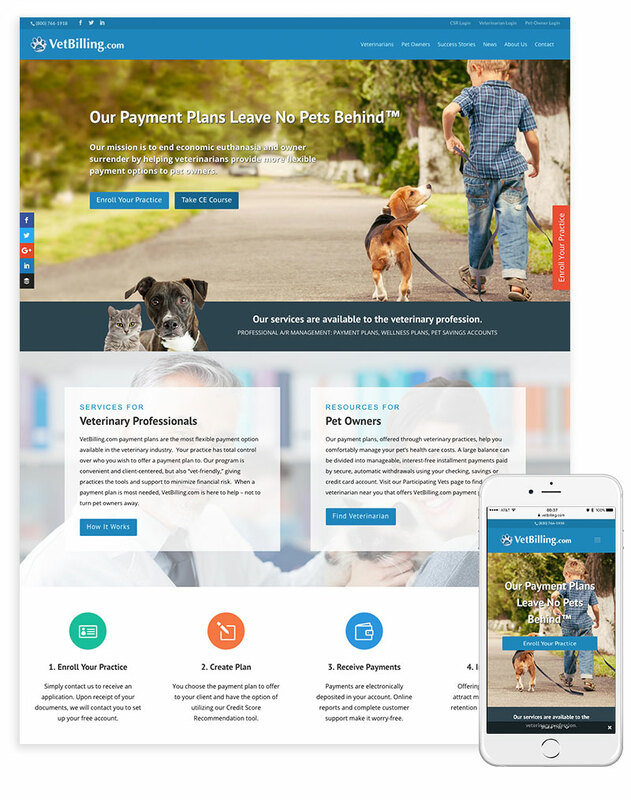 We've worked closely with VetBilling.com since their founding in 2014. We created their website at that time and supported them over the years as they've grown. We recently redesigned their homepage for a fresh look and new marketing strategy. 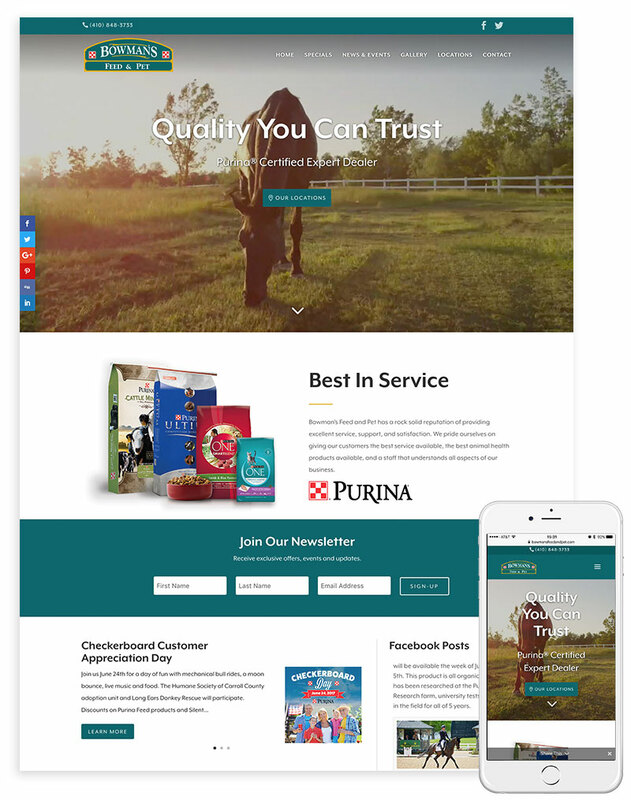 We've developed many features for VetBilling.com's website, including: social media integration, interactive veterinarian location finder, complex forms with legal agreements and Zoho CRM integration, blog, event listings, webinars, custom PDF generator, and a CE course with automatically graded test scoring. We also provide VetBilling with ongoing WordPress maintenance. This website was a major redesign, platform change to WordPress, and also migrated to a new e-commerce system, WooCommerce. 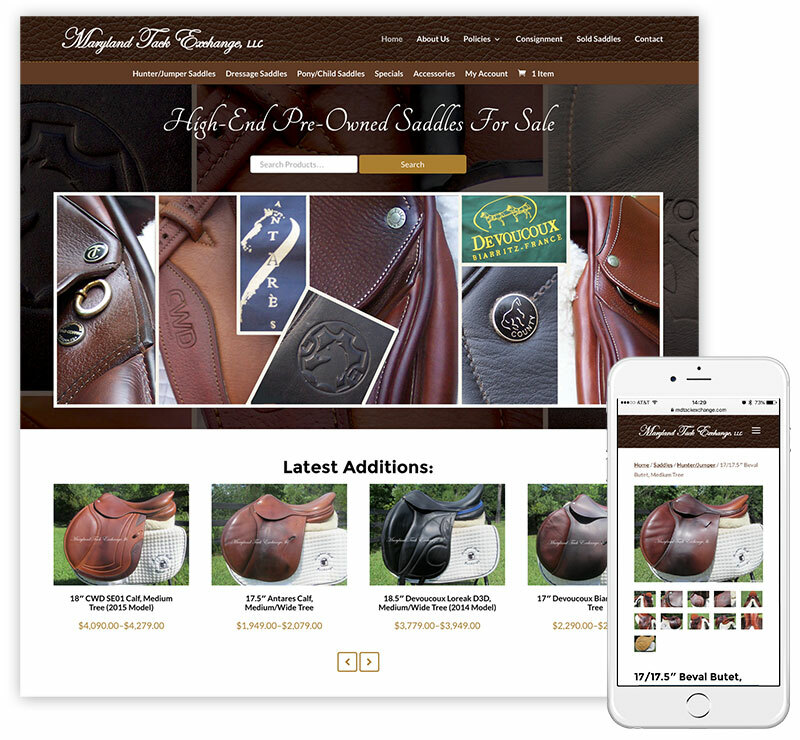 With around 300 products, Maryland Tack Exchange's switch to a fully capable e-commerce system means a highly improved customer shopping experience. Customers can easily browse, search for and filter products. We also provide Maryland Tack Exchange with web hosting and ongoing WordPress maintenance. 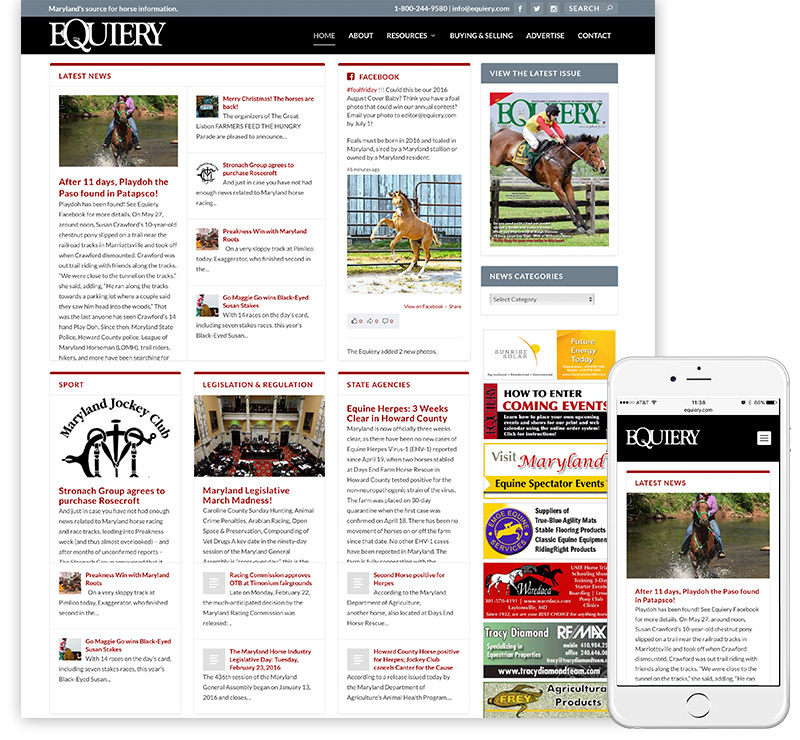 The Equiery is Maryland's most prominent equine publication of over 25 years. This was a drastic website redesign to bring The Equiery's website to a contemporary format suited for a news publication. We also provide The Equiery with ongoing WordPress maintenance. 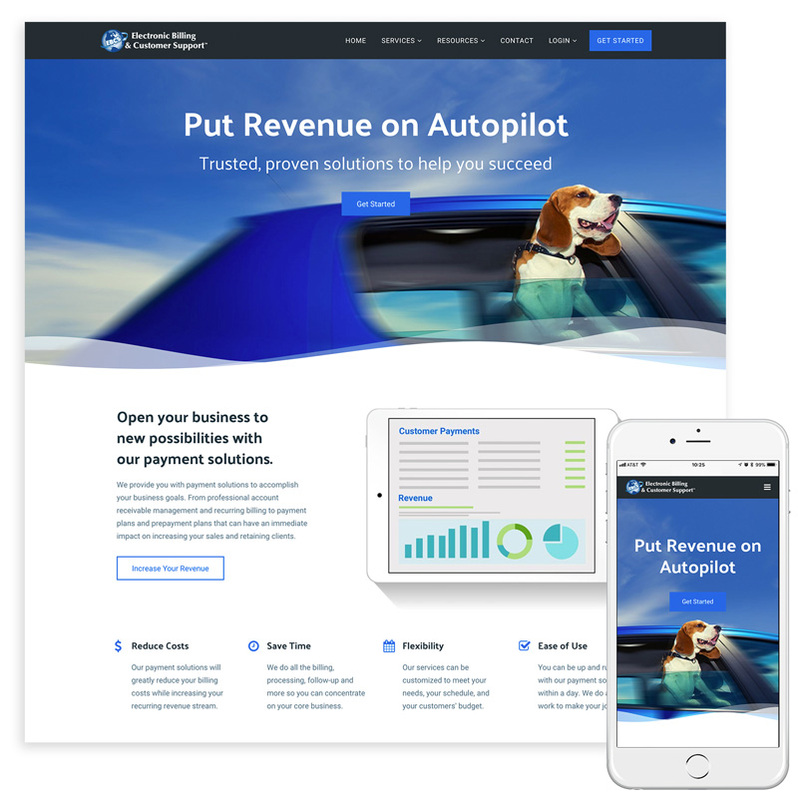 This new WordPress website has many features which include membership purchases and renewals, a members-only area, mailing list sign-up, digital downloads and interactive classified ads that members can place. We also provide ASHA with web hosting and ongoing WordPress maintenance. Be sure to check out our Facebook Page to see more of our work.